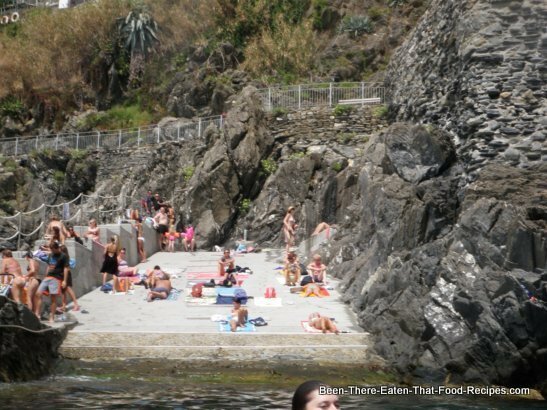 Trofie_al_Pesto: how I ended up acknowledging this peculiar Pasta as the pearl of the Cinque Terre cuisine? Well, a while ago, my husband and I decided to spend few days on our own. He had heard of a place that seemed to be what we were looking for. 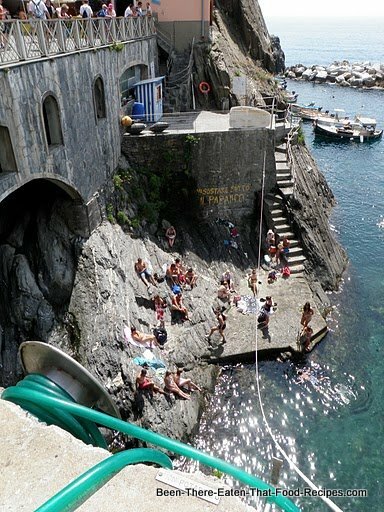 It is called Cinque Terre, a National Park and territory protected by UNESCO, in the Liguria region. And off we went to our Italian holidays! Even though we did some research before leaving, nothing prepared us for what it was awaiting us. 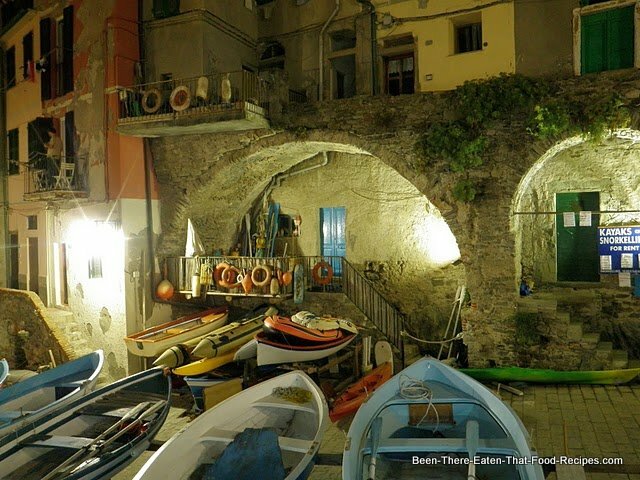 Five idyllic little towns, on the Ligurian Coast, connected by a railway line or by scenic paths. Each one of them with its unique character, but with a common beauty and charm. We immediately felt transported to another time, and particularly, to another completely different way of life from what is now our hectic lifestyle. 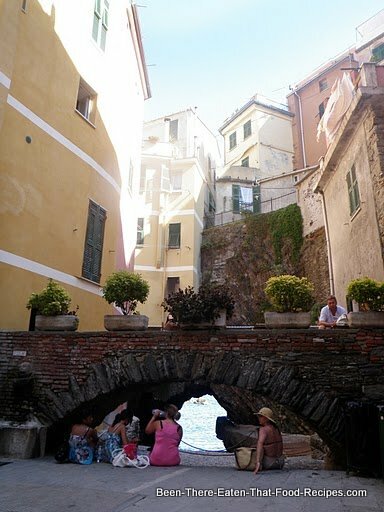 On arrival, we were quick to ensure a place in one of the cozy hotels in the first of the towns we visited: Riomaggiore. 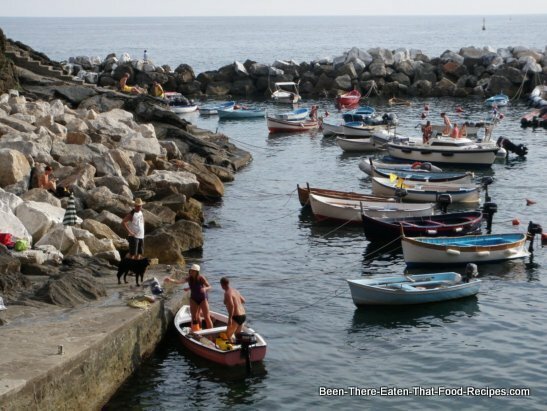 This rest was very welcome since the short walk from the railway station through the hilly village on a glorious summer day at noon, carrying our bags, rendered us exhausted very quickly in that hot Mediterranean weather! Through the window of our room, the more amazing view surprised us. It was what we could only describe as a typical Italian scene. We had front row view to a sort of piazza place, facing an impressive church. Children were playing happily and loudly while mums, dads, aunties, and grandmas were all preparing a child’s birthday party in the piazza! 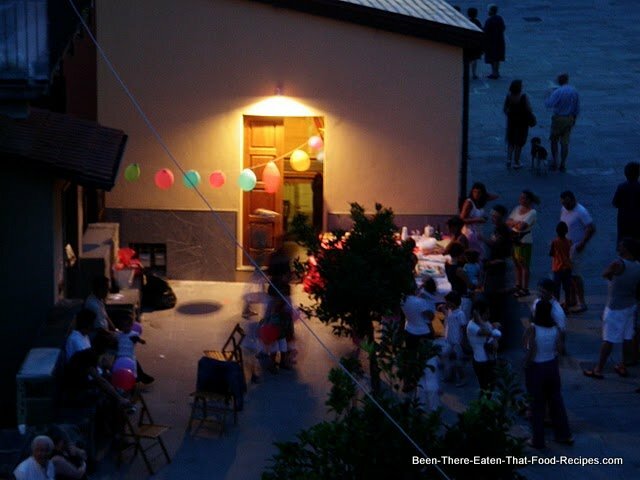 Balloons were arranged, chairs were placed at the sides of this open public place, and a big table was brought in and covered with homemade food. The bells from the church were calling the guests, and we could even see the priest getting ready for the party through one of the windows of his private rooms. Neighbors started to arrive, with presents, loud laughs and salutations. All along, we were enjoying this party atmosphere from our hotel window, listening to the music that began to play, and the sweet scent of flowers everywhere, when pretending to get ready to go out again. 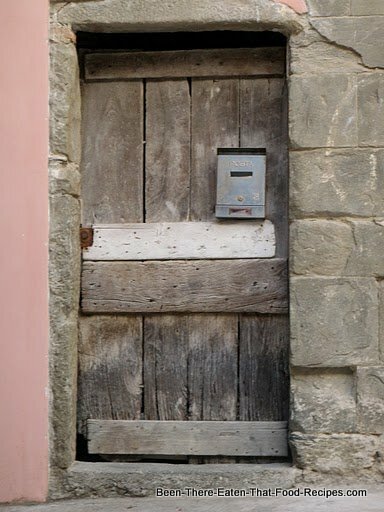 During the next three days we walked all the paths connecting the five little villages: Riomaggiore, Manarola, Corniglia, Vernazza and Monterosso al Mare. 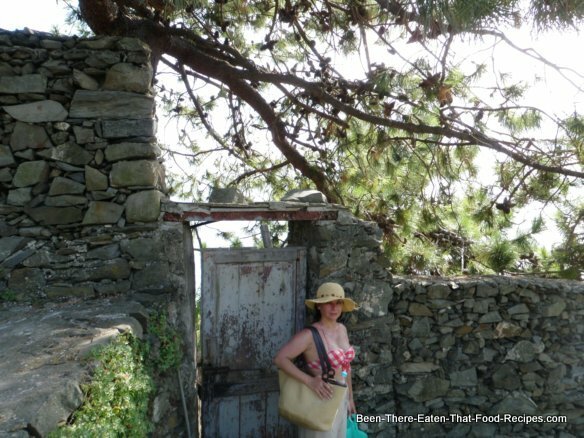 The scenery was breathtaking when walking between the vineyards -set on terraces built on the rocks- and the sea, olives groves and crops; when admiring cliffs -often vertical- and the clear blue depths full of fish; and when enjoying the beaches among rocks. On the second and third night we stayed in La Torreta , simply marvelous!, We enjoyed particularly the amazing views from the terrace -where we were treated with aperitifs at sunset-, its Jacuzzi surrounded by old town pictures of long past harvest times, and of course its very stylish and modern comfort. 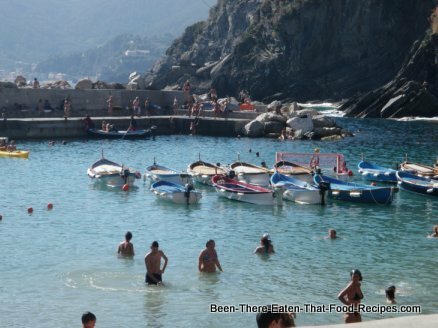 In addition to all this beauty, we enjoyed the food of heaven in the Cinque Terre! And coming back to the topic of this page (you thought I had forgotten! 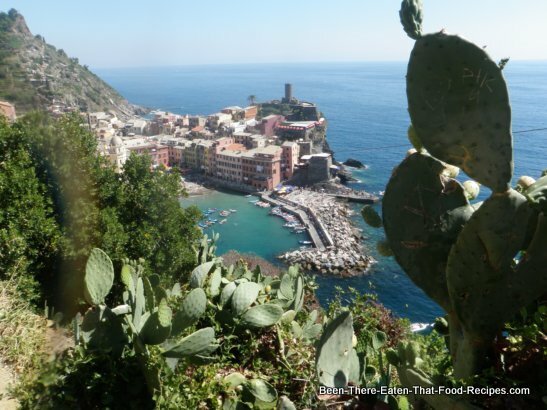 ), from the Italian food recipes, the main speciality of this region is without a doubt the Trofie_al_Pesto!! I am sure you have tasted some Pasta with Pesto sauces before, but believe me, Trofie_al_Pesto is a completely different thing altogether!! 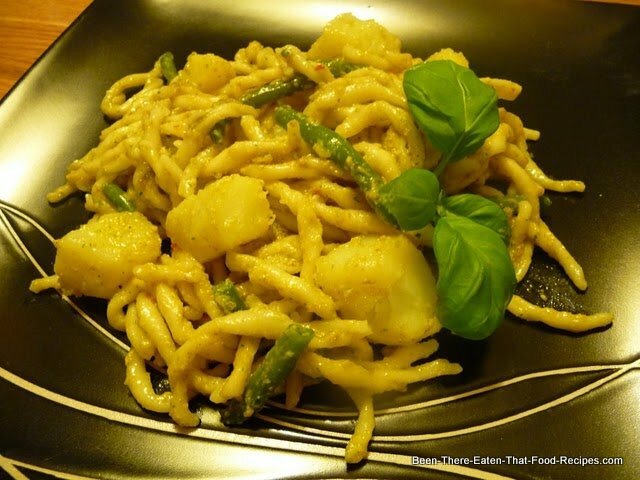 To start with, this particular handmade Pasta shape is really something! It looks peculiar, it is quite thick and maintains its "al dente" consistency even after boiling for 20 minutes, and its slippery texture combines brilliantly with the Pesto flavour. 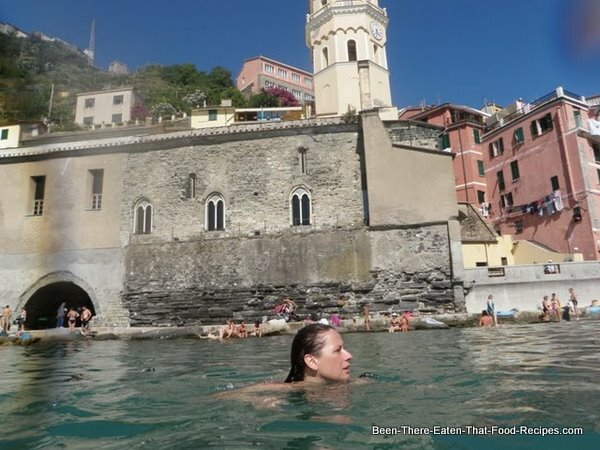 And, if you prepare Trofie_al_Pesto in the Cinque Terre fashion, you have to serve it with crunchy green beans and soft potatoes tossed in it. Just then you will really appreciate the master combination of the slippery Pasta, the rich Pesto intensity, the green beans's texture and the potatoes absorbing the balsamic mixture...By now I hope you get the idea and the urge to cook Trofie_al_Pesto yourself! Trofie_al_Pesto is very easy to make. The Trofie Pasta can be found at most Italian food shops. 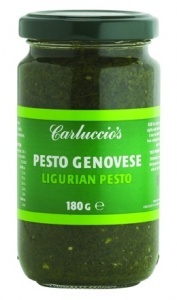 •	100 grams Pesto sauce, ideally Pesto Genovese. Buy a good quality brand or make your own (find the Pesto Genovese recipe below). Bring a big pot full of salty water to a boil. Add the peeled potatoes, cut into medium size pieces. Cook until fork tender, drain and keep aside. Add the green beans (trimmed ends and cut into 5 cm long pieces) and cook for 3 minutes, drain and put aside. Now add the Trofie Pasta to the boiling pot and cook for at least 20 minutes until “al dente”. Meanwhile, warm up a large bowl and four Pasta bowls in the oven. When the Pasta is ready, drain it and place it into the large bowl, but keep a bit of the cooking water for later. Add to the Pasta in the bowl the Pesto sauce, the finely chopped parsley, black pepper, the Parmesan cheese, and some cooking water if needed . Toss everything and add the potatoes and the green beans to the bowl. Carefully toss the content with wooden spoons, taking care not to smash the potatoes. Serve into individual bowls, drizzle with olive oil and add Parmesan cheese and black pepper on top. Decorate with some fresh basil leaves. Your Trofie_al_Pesto is ready!! Place the crushed garlic cloves in the food processor, add the basil leaves in batches , and pulse aiming at a roughly chopped mixture. Add in the pine nuts and pulse until well mixed. Pour in the olive oil and pulse again to obtain a soft but textured mix. Add the Parmesan cheese, and adjust to taste with salt and pepper. Pour a glass of good red wine for yourself and fellow diners. Now you are ready to enjoy the Trofie_al_Pesto properly!! 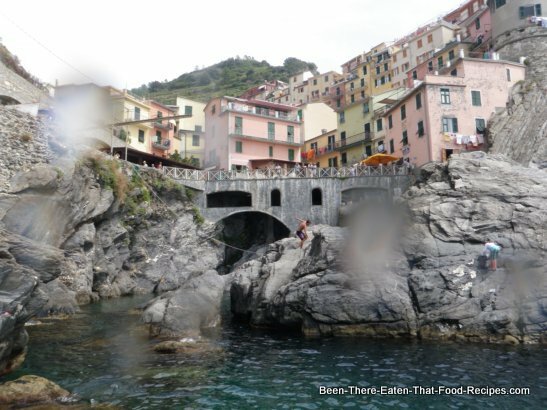 If you have enjoyed this page, you will surely appreciate www.discover-interesting-places.com, a companion site where Paquita Lamacraft´s passion for travel and good food features - but without the recipes.